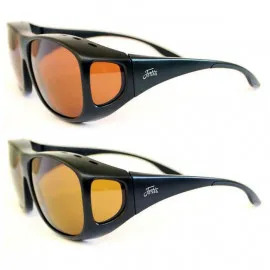 As avid carp anglers, we here at Angling Direct know the benefits of a good pair of sunglasses. Quality sunglasses are the only things standing between your eyes and harmful ultra-violet (UV) rays. However, more importantly (in our eyes, at least) is the fact that a good pair of sunglasses can make a real difference to your ability to spot fish under the water. On the average overcast British day it is difficult to spot the dark shape of a carp moving along the bed of the water. On a sunny day this task becomes exponentially more difficult – impossible, even, without the help of sunglasses. Picture the scene: it’s your standard British summer’s day. Bright but with cloud cover, and you’re setting up for the day. All of a sudden, the clouds move and the sun is out, causing a bright glare to reflect off the water. The carp you were keenly tracking vanishes from your vision. Without a good pair of sunglasses to hand, you might as well pack up now, as you’re never going to be able to spot it again. However, the glare that has just made it impossible to spot your fish is also doing serious damage to your eyes. UV rays contain two forms of harmful light. UVB rays are the rays that we see as a burn on the surface of the skin when we’ve spent too long in the sun. UVA rays are even more harmful, as they cause the same effect but deep in the skin. The effects of these rays accelerate the ageing process of the skin. If that is the damage UV light can do to your skin, just think about the damage it can do to your eyes. The combination of these two factors is why we consider a pair of sunglasses to be among the most vital bit of kit in our tackle bag. 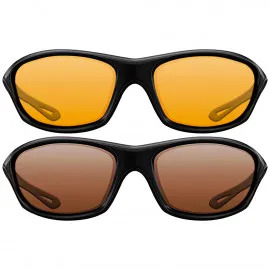 Angling Direct stocks a huge range of sunglasses, so your fishing trip never needs to be cut short by a bit of sunlight. With a variety of lens types and frames, you can be sure that we have a pair of glasses that will suit you. 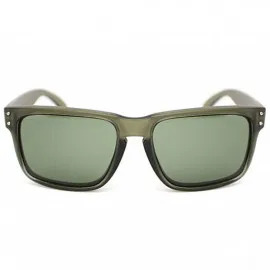 Whether you favour polarised sports wrap-arounds, or maybe you’re more interested in something more fashionable with lenses primed for angling, we have a pair of glasses that is perfect for your needs. If you’d like any more information about the carp fishing sunglasses that we stock you can call our customer services team. All their contact information is available on their dedicated page on our website.